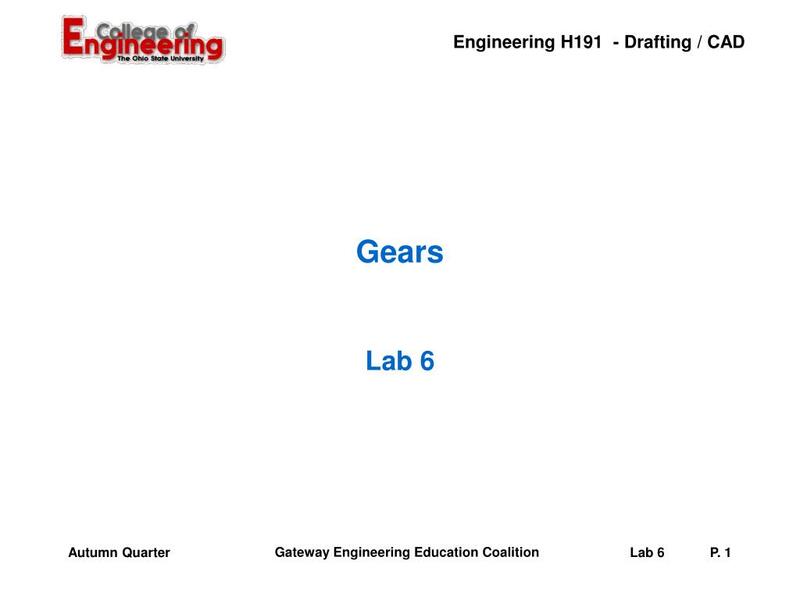 Gears Lab 6 Before we begin… Pre-assembled Lego materials SHOULD NOT be taken apart. 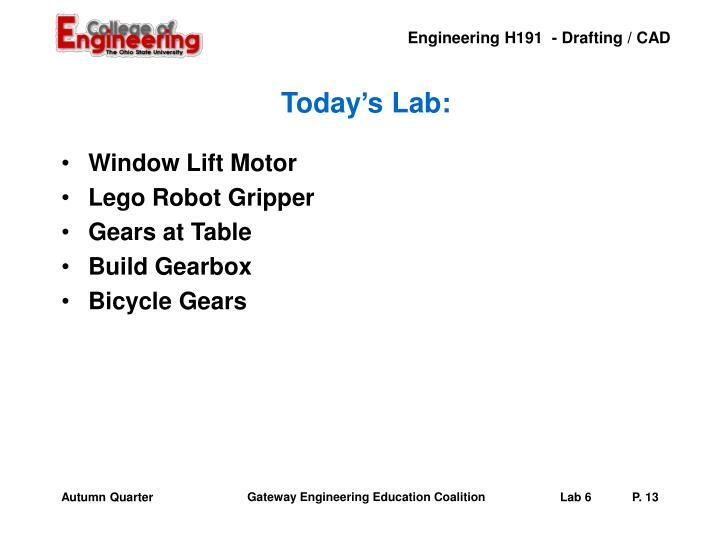 Lego Gripper, Steering Assembly, Differential Assembly Disassembling any of the pre-assembled examples will result in a 10-point deduction on your lab report grade. Pre-assembled Lego materials SHOULD NOT be taken apart. 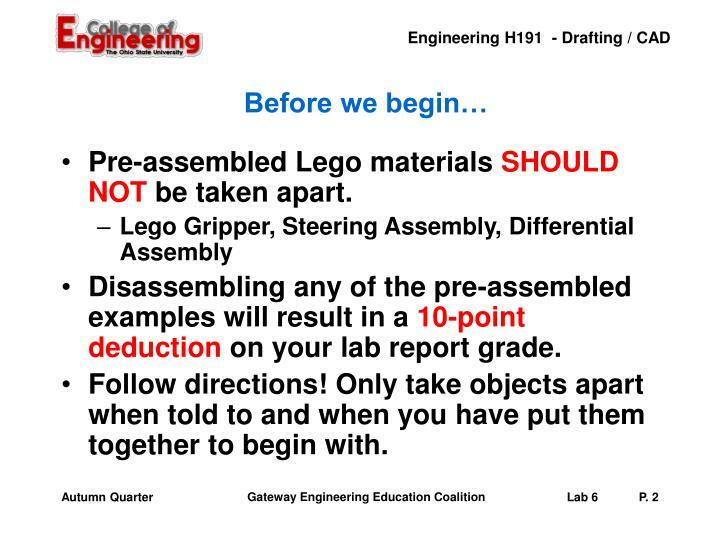 Disassembling any of the pre-assembled examples will result in a 10-point deduction on your lab report grade. Follow directions! Only take objects apart when told to and when you have put them together to begin with. 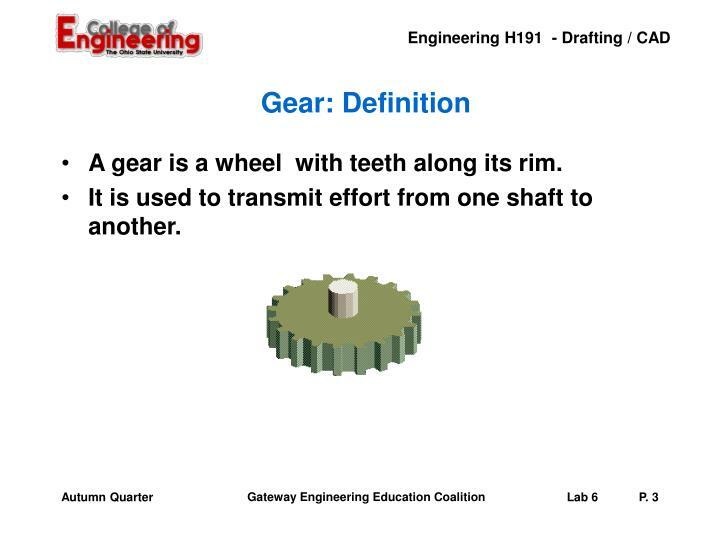 A gear is a wheel with teeth along its rim. It is used to transmit effort from one shaft to another. 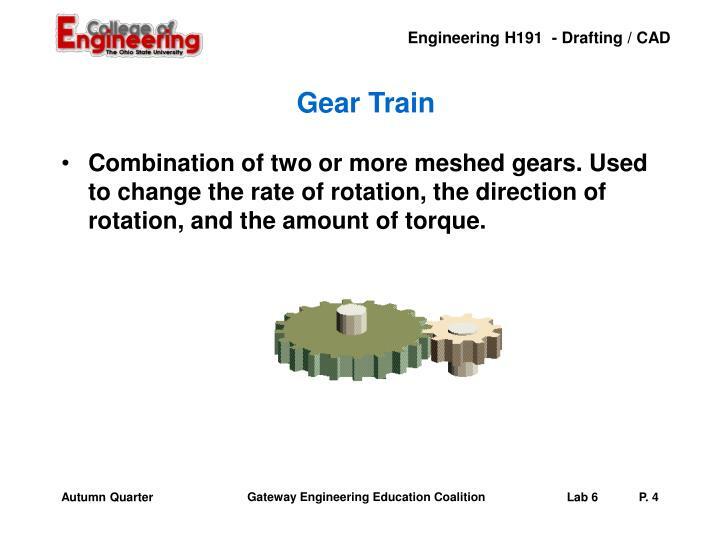 Combination of two or more meshed gears. Used to change the rate of rotation, the direction of rotation, and the amount of torque. Used to change speed and direction of rotation. 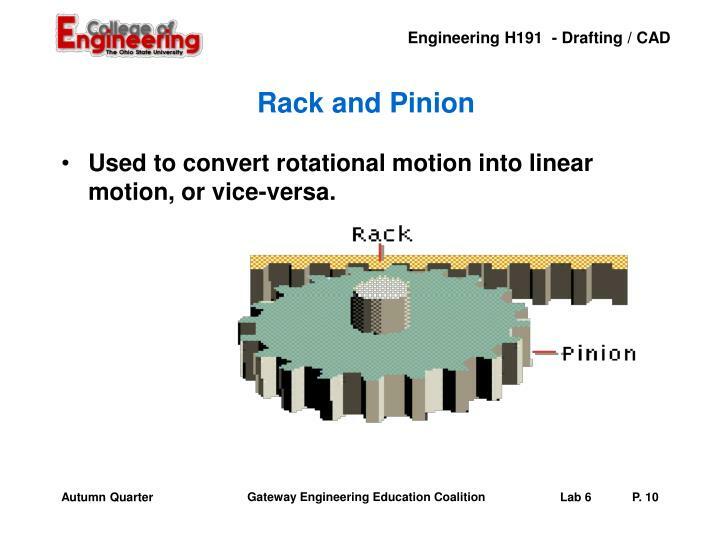 Used to convert rotational motion into linear motion, or vice-versa. 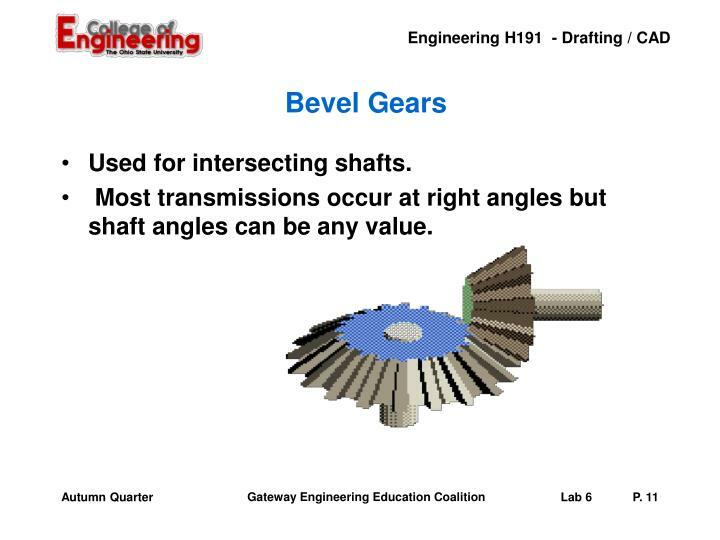 Most transmissions occur at right angles but shaft angles can be any value. 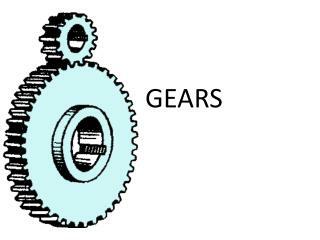 Gears are connected by a chain instead of directly. 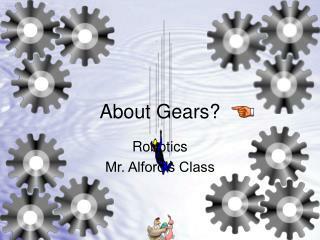 The input and output shaft rotations are in the same direction. 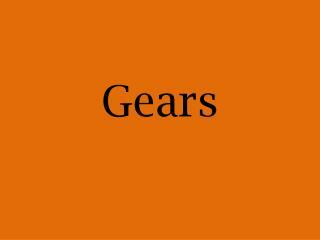 Gears -. 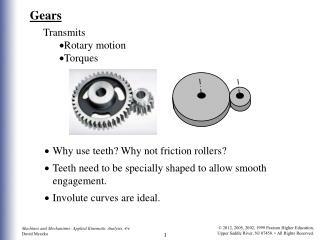 transmits rotary motion torques. why use teeth? why not friction rollers? teeth need to be specially shaped to allow smooth engagement. involute curves are ideal. 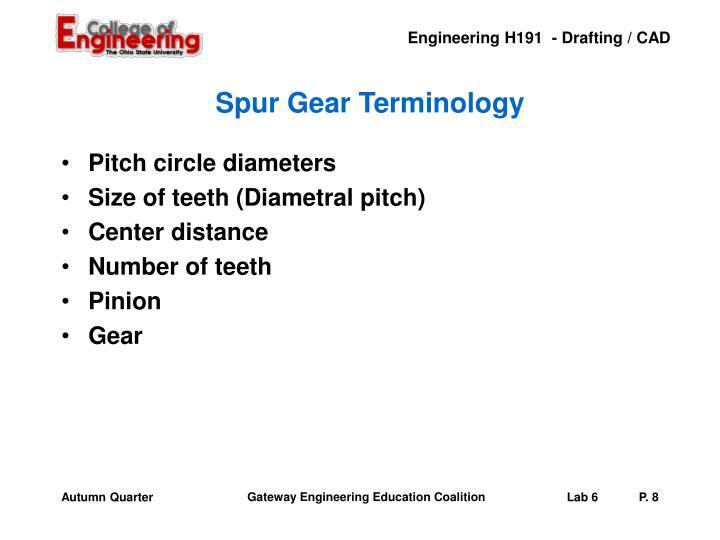 spur gear. 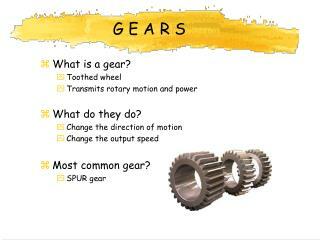 rack and pinion gear. 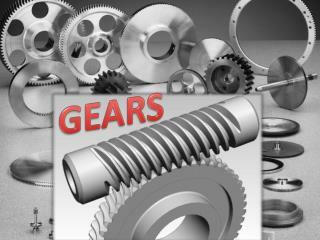 internal gear. 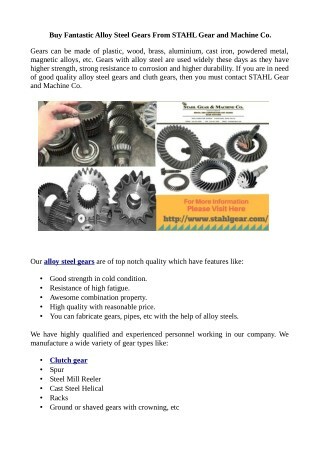 helical gear. 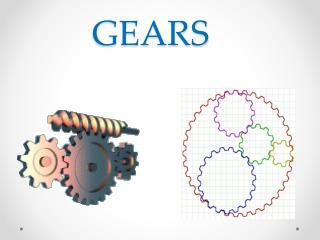 Gears -. 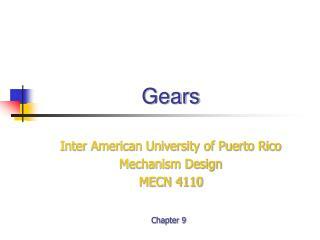 inter american university of puerto rico mechanism design mecn 4110. chapter 9. mechanical transmissions. belts. chains. gears. 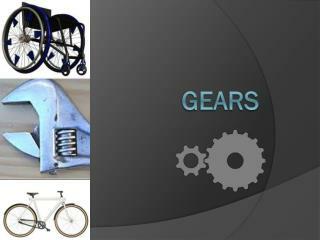 types of gears. 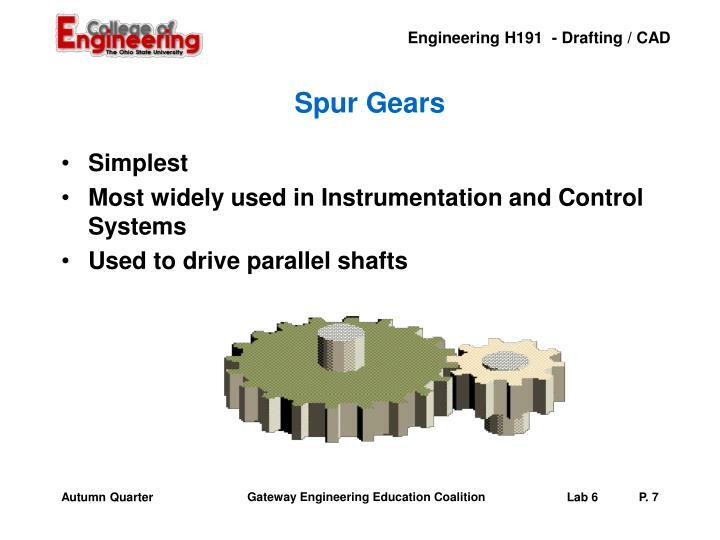 spur gears. pinion. gear. 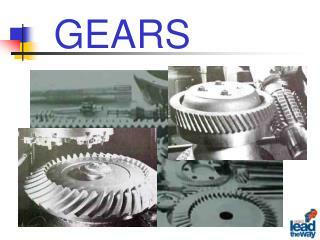 spur gears - types. external set: opposite movement. 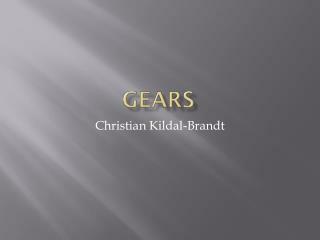 Gears -. 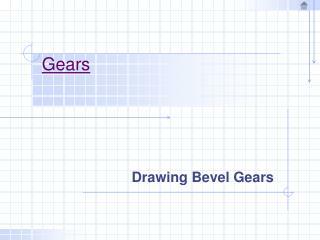 drawing gear teeth spur gears. 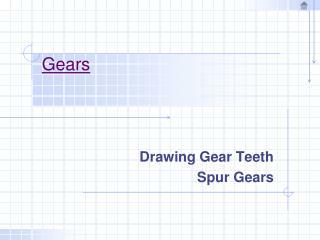 drawing gear teeth. 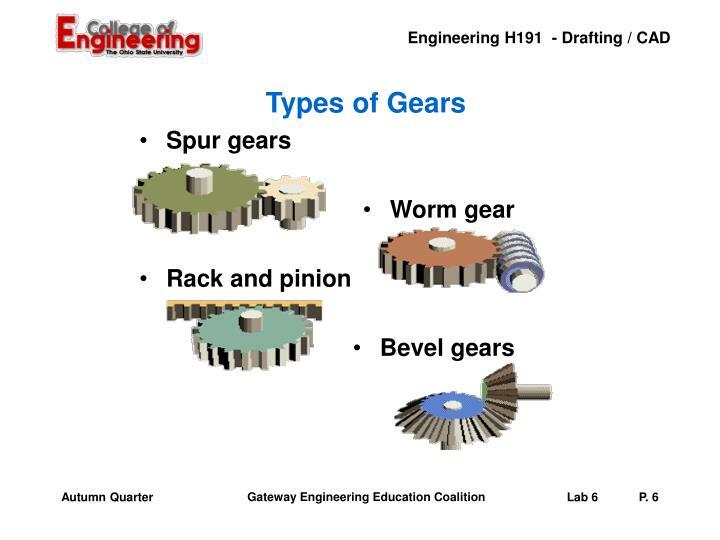 the involute system the curved surface of the gear tooth profile must be of a definite geometric form if the gears are to operate smoothly with a minimum of noise and vibration. 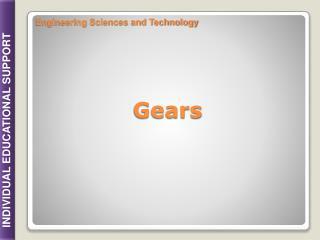 About Gears? -. robotics mr. alford’s class. 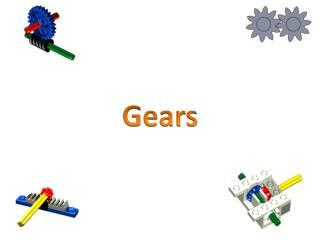 types of gears. gears. 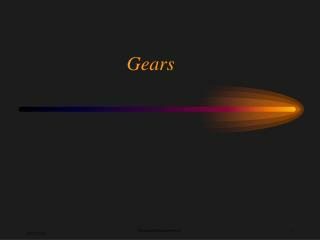 gear speed. driver &amp; follower gear. 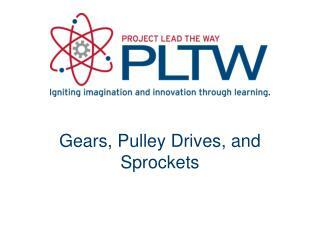 gear idler. not idler. axles input &amp; output. 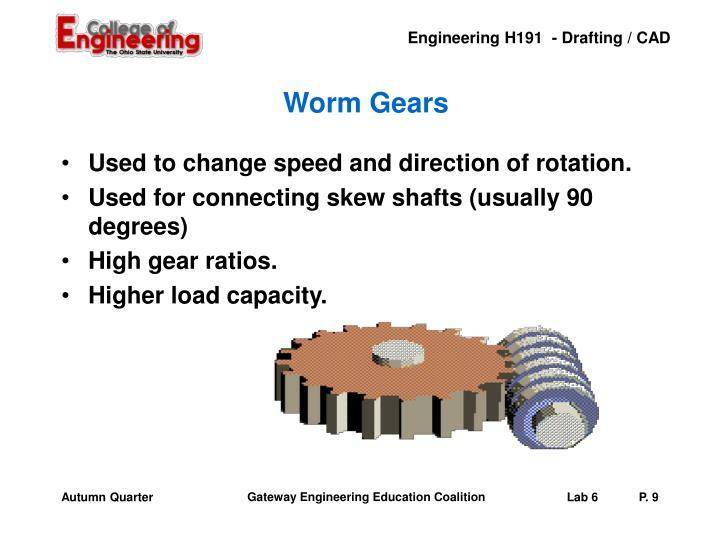 worm gear. 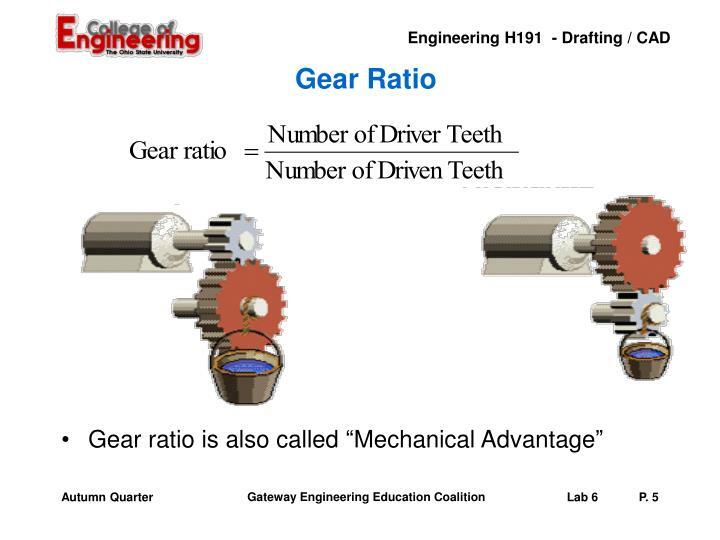 connecting gears (universal joint).